Photoshop confusion Should You Adopt an Adult, a Puppy, or a Senior Pomeranian? Ready for the ball game! 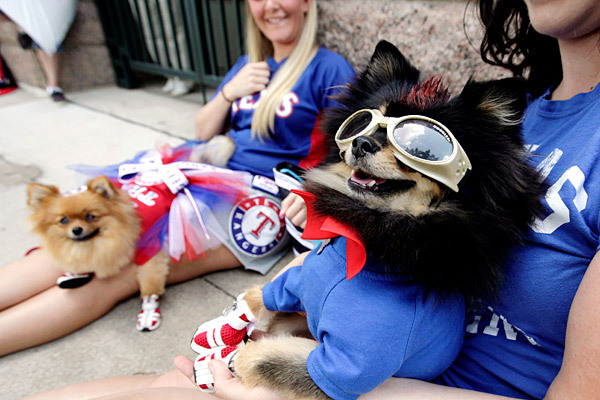 From yesterday’s espn article about dogs in baseball stadiums this summer. So cute! 3 Responses to Ready for the ball game! Hi there, thanks for popping by my site. That was a good thing, because it meant I found you – yipee! Looking forward to following you now. Update on last comment: I said I’d follow but now have no idea how to do that?!?! Silly me – any ideas? Hi! You can subscribe to our RSS feed or via twitter. Thanks for reading!